Performance appraisal is the process by which the performance of the employee is evaluated based on the goals and objectives assigned to him/her by the organization. It is a review and discussion process which may contain a series of other procedures as well. The performance appraisal of the employee is restricted and limited to the results that are obtained from the work carried out by the individual in the organization. It is not utilized for personal characteristics or personality traits of the employee. In most cases, the performance appraisal process involves the employee’s input as well. 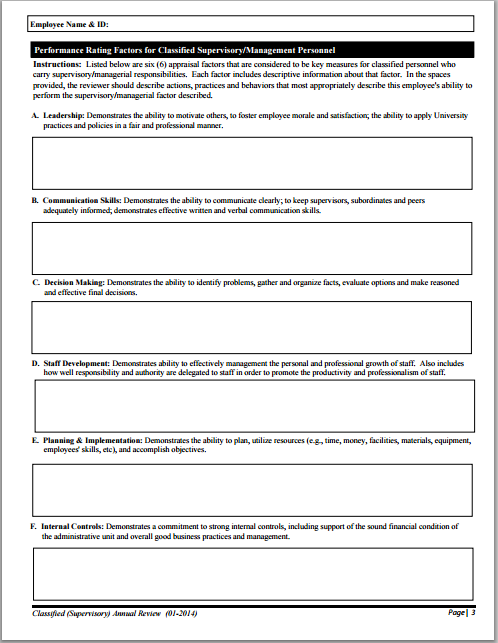 What is performance appraisal form? Performance appraisal form is a piece of documentation that contains several elements and fields that the employee and his manager or supervisor is required to fill in so that the performance can be evaluated according to the benchmarks or standards. Find out whether the goals and objectives need revision or not.